← Avengers 2 trailer news. A friend turned me on to this recently. 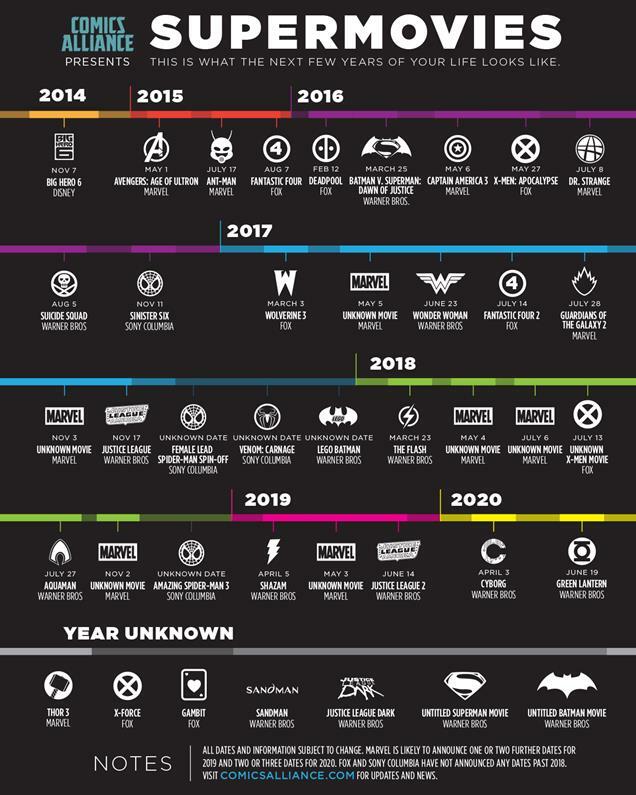 Seeing as how there are so many superhero films coming out in the near future, the good people over at Comic Alliance have posted a visual representation of all of the upcoming comic book movie adaptations. It’s a pretty nifty guide. Click the image to view it full size. You can see the full article here. This entry was posted in Articles, Comics, Movies and tagged DC. Bookmark the permalink.